Each week, the team over at totalfootballanalysis.com give us a tactical breakdown of our Fixture in Focus. Today, Simon Doyle previews Arsenal vs Liverpool and looks at how Liverpool’s attacking output has evolved this season so far. Another mouth-watering top-of-the-table clash highlights this weekend’s Premier League fixtures as fourth placed Arsenal host second placed Liverpool at the Emirates Stadium this Saturday evening. Games between the top six sides in the Premier League this season have overall delivered some thrilling football, perhaps most notably in games featuring both the Gunners and the Reds. Arsenal’s 10-game winning streak in all competitions came to an end as a result of their 2-2 draw away at Crystal Palace last Sunday. 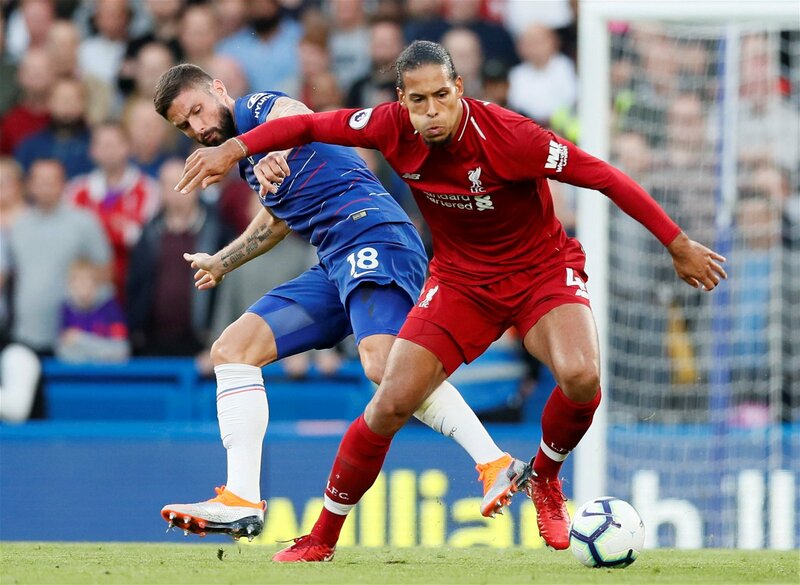 While the Gunners’ current form is impressive, they’ve not played a team of Liverpool’s calibre since the second weekend of the season when they lost to Chelsea at Stamford Bridge, despite creating the better of the chances against their hosts. At that time however, Emery’s ideas were still very fresh and the results for the north London side have improved significantly since. Liverpool have equalled their strongest ever start to a Premier League campaign after 10 games, fittingly 10 years after their previous best in 2008/09. The manner in which they’ve accrued those points is perhaps a surprise to most who were thrilled by their breathless, high-octane football of last season. This campaign has been approached with more of an emphasis on control and defensive solidity by Jürgen Klopp’s team. “Attack wins you games, defence wins you titles”, words of Sir Alex Ferguson, a man who knew a bit about winning the Premier League. No honest football fan would deny Klopp’s Reds were one of the most entertaining sides in Europe last season, but ultimately they finished the season empty-handed. Their frighteningly rapid counter-attacks ripped apart the best of teams, punishing any mistakes in their opposition’s build-up, but issues in their defensive phases held them back in crucial moments of the season. After 10 league games last season, Liverpool had a +1 goal difference, scoring 17 goals and conceding 16. In contrast, this season the Reds have racked up a total of 20 goals, conceding only four. But an average of two goals per game is below expectations for a team that finished last season with 84 in the league, as well as scoring 17 goals in their six knockout round games en route to the 2018 Champions League final. Has the Liverpool attack suffered a loss of form, or is Klopp evolving his side into a more conservative, possession based team? In some recent fixtures in which Liverpool were considered heavy favourites before kick-off, Klopp has deployed his side in a 4-2-3-1 formation, a change from the typical 4-3-3 which has become synonymous with Liverpool’s style of play in Klopp’s time at Anfield. This change in formation utilises a ‘double-pivot’, a two-man base in midfield as opposed to the single ‘number 6’ regista role. Liverpool have set up in a 4-2-3-1 in most of their recent matches. Above, Georginio Wijnaldum and Fabinho form a double-pivot at the base of the midfield. This formation has seen Mo Salah, who had a sensational year in the 2017/18 campaign for Liverpool, play as a number 9, with Sadio Mane, new signing Xherdan Shaqiri and Roberto Firminho the usual trio behind him. Firminho has become one of the finest examples of the ‘false 9’ forward role in world football and has seamlessly transferred those attributes to play as an accomplished number 10 as of late. In this formation Liverpool can still execute rapid transitions into attack where Mo Salah and Sadio Mane can utilise their extreme pace, while Firminho can display his range of passing in a more play-making role. As Liverpool win back possession and find Firminho dropping deep to support, the Brazilian striker immediately takes note of the forward runners ahead of him. Salah and Mané have bags of pace and will punish any space in disorganised defences. However, Liverpool have still deployed their usual 4-3-3 formation in big games so far this season, beating Spurs and PSG, drawing with Chelsea and City and losing 1-0 away to Napoli in the Champions League. With this formation they are happier to concede possession as the midfield three screens their back four and the front three relentlessly press the opposition to disrupt their build-up play, a disruption Arsenal could seriously do without. Liverpool will likely setup in their 4-3-3, the forward three look to cut off passing lanes. If they are passed-by the forwards press intensely from behind the player in possession. So rather than reverting to a more defensive setup, Liverpool’s marked improvement at the back is perhaps a sign of maturity. Klopp’s side are no longer a plucky outsider and do not pose as much of a surprise as they did last season. The varied approaches seen this season still facilitate fast, direct football against teams that prefer to keep possession while also allowing a more patient, controlled setup against smaller teams – games which have cost Liverpool dearly in recent seasons. Given Liverpool’s transfer outlay this summer, their target is to turn Klopp’s impressive team into trophy winners and the trophy they covet most is the Premier League. 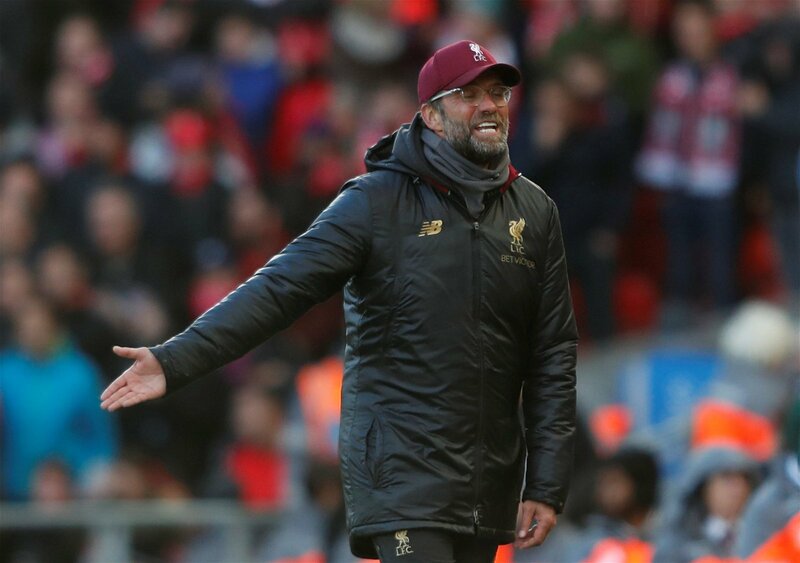 Any modern day Liverpool title challenge has always been undermined by dropped points against inferior sides – beating title rivals has never been the Merseyside club’s biggest issue – and Klopp’s heavy-metal football can be too tiring and unpredictable across a long Premier League season. This explains their less gung-ho approach in some matches, often replaced by a more measured, patient game plan. Klopp may be taking a inspirations from Liverpool’s biggest title rivals this season, Manchester City. Runaway league champions of last season, City overcame many big opponents in the early rounds of the campaign with narrow, hard-fought victories. A 1-0 win away at Chelsea, a 2-1 win at Old Trafford and a few late winners against Bournemouth, Huddersfield, Southampton and West Ham (the last three all in succession) were crucial to their large points gap over the chasing pack, which effectively wrapped up the title come Christmas time. For Arsenal this game will be seen as a true marker of their progression under Unai Emery. Since their opening defeats at home to Man City and away at Chelsea, Arsenal have won seven games in a row, which would have been eight were it not for the concession of a late penalty in their 2-2 draw away to Crystal Palace last week. Talk of a title challenge may be premature but a win against Liverpool would make the rest of the league take serious note of Emery’s Arsenal. Arsenal’s approach under Emery contains many principles of positional play and at their best Arsenal have looked simply sublime this season. All three goals against Leicester in their 3-1 win over the Foxes two weeks ago were sensational team goals, as was THAT goal away at Fulham. Emery’s Arsenal typically set up in a 4-2-3-1 formation, the double-pivot in midfield sits deep to aid build-up from the back, looking to unleash a narrow attacking quartet ahead of them as both full-backs push extremely high up the pitch in wide areas. Liverpool’s few weaknesses in defence this season have included defending wide areas, so this may be a way in for Emery’s side. Arsenal’s positional play means players are responsible for ensuring certain positions or areas are occupied when the team has possession. The full-backs are responsible for providing width, allowing the attackers and midfielders to stay central. While they play some of the most enjoyable football in the league, Arsenal’s issues lie where they always have for the last decade, the defence. Where Liverpool seem to have stabilised in the last 12 months, Arsenal continue to struggle, the north London side having conceded 13 goals in their 10 games so far this season. 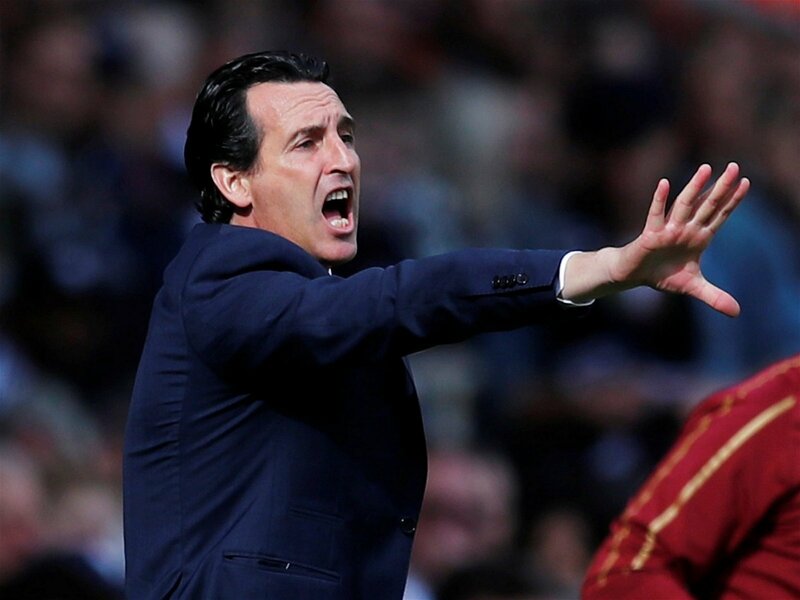 The Gunners’ troubles are seen regularly in transition from attack to defence as Emery demands that his side build from the back to ensure they can keep possession, but this has caused issues. Perhaps a hangover from Arsene Wenger’s era, the Arsenal defenders are not among the best in one-on-one challenges and when spread far apart during build-up play, they also struggle to reorganise when the ball is lost. This combination leads to them conceding many chances in open play and will be music to the ears of the pacey Liverpool attack. Above, Nacho Monreal has closed his body off to most of the pitch, under pressure from the Fulham forward. Monreal’s forward pass is cut out and Fulham immediately play the ball forward, exploiting the gaps in Arsenal’s defence. Upon analysing both sides it seems both teams’ strengths in attack foil the other team’s weaknesses in defence, a recipe for a high scoring game in theory. This fixture is no stranger to high scoring games having witnessed a 3-3 draw last season. In fact Arsenal and Liverpool have astonishingly averaged over five goals a game in their last five meetings – did someone say five-all draw? If anyone did it might have been Salah – the Egyptian has scored in every one of his three Premier League appearances against Arsenal for both Liverpool and Chelsea. He will be keen to add to his five league strikes this campaign. However, it is Arsenal who boast the current Premier League top goal scorer in Pierre-Emerick Aubameyang. The Gabonese forward has seven goals so far this season along with Eden Hazard. Arsenal’s problems with their build-up play will play right into Liverpool’s hands provided Salah and Mané are ruthless in transition moments. If Emery can find a way to play through Liverpool’s press, then the Reds’ excellent defence will have their work cut out for them in wide areas. Arsenal will be desperate to have injury stricken full-backs Héctor Bellerín and Nacho Monreal pass late fitness tests. If Granit Xhaka is deployed at left back again, Arsenal could possibly look to copy Napoli’s approach in their 1-0 win over Liverpool in early October. Napoli used their full-backs to play a back three in possession and a back four when defending. Simply put, while anything can happen in a one-off game, this Liverpool side are a level or two above the current Arsenal team, a few years ahead of the Gunners in their development. Arsenal have the potential to beat any side on their day, but Liverpool are primed for a title challenge and will be determined to continue their impressive record against rival teams. I’m tipping the Reds to notch their 20th ever Premier League victory over Arsenal in a 2-1 win.